Discover the magic of Switzerland’s legends, an amazing world where history meets fantasy to create timeless tales of great heroes, divine miracles and, and frightening monsters. 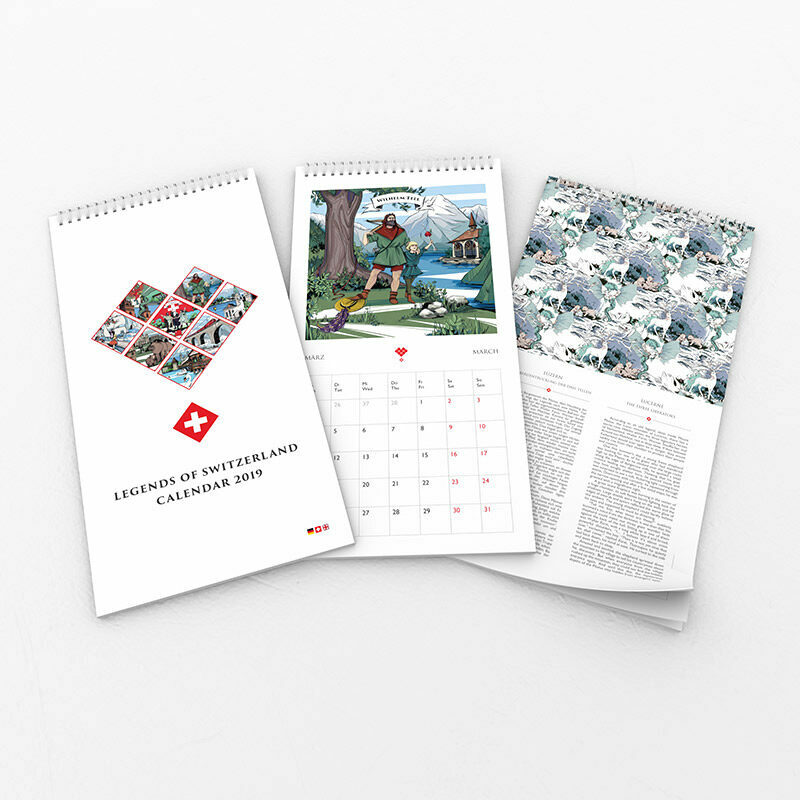 VARSY’S Legendary Calendar takes you on a fantastic journey through Switzerland with the stories of 12 classic Swiss Legends told in both English and German, and illustrated with playful artwork showing scenery from Swiss cities, mountains and other fantastic locations. Printed in Switzerland, this 24-page calendar contains illustrations, stories, and full-color pictures to be enjoyed by the whole family. We use FSC and PEFC certified paper to ensure that our papers come from sustainable and responsibly-managed sources. Our Swiss-made calendar’s materials are responsibly sourced to make sure that the paper we use is sustainable. We want to make sure that our planet is healthy for the future generations to enjoy.